Severe cold, allergies or bacterial and viral infections can cause fluid to build up in the sinuses, resulting in inflammation, pressure and pain. Sinusitis makes it difficult to breathe through the nose in addition to causing headaches and swelling around the eyes, nose and forehead. 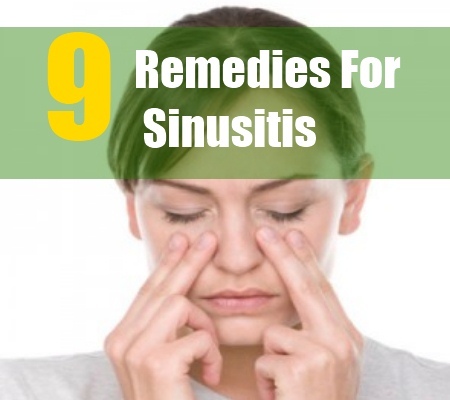 The good news is that there are several home remedies for sinusitis, that drain your sinuses, reducing inflammation and providing long term relief. Dip a small clean hand towel in hot water and wring off excess water. Place this towel over the forehead, nose and eyes. Leave it on till the pain subsides or till the compress begins to cool down. Repeat the process for 15 minutes, thrice a day. A hot compress increases blood flow and opens up clogged sinuses. 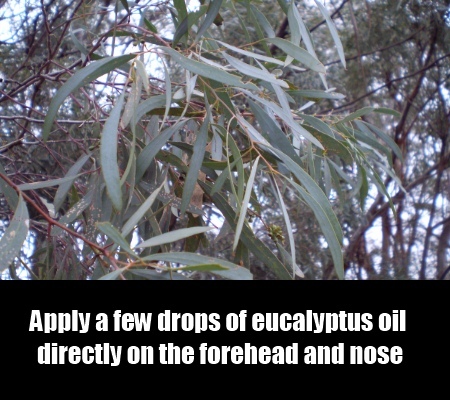 Apply a few drops of eucalyptus oil directly on the forehead and nose. This oil is a powerful decongestant which reduces pressure caused by sinusitis. 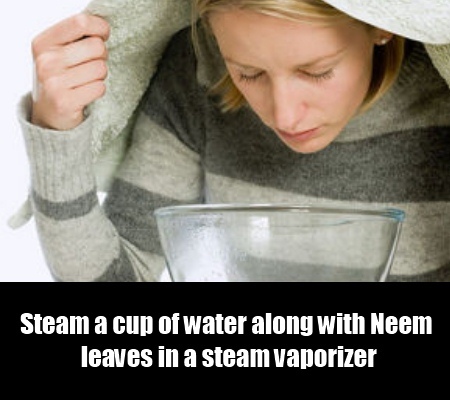 Steam a cup of water along with Neem leaves or Fenugreek seeds in a steam vaporizer. Cover your head with a towel. Bend over the mouth of the vaporizer and inhale the steam. This gives instant relief from all symptoms of sinusitis including headaches and blockage caused by mucus. 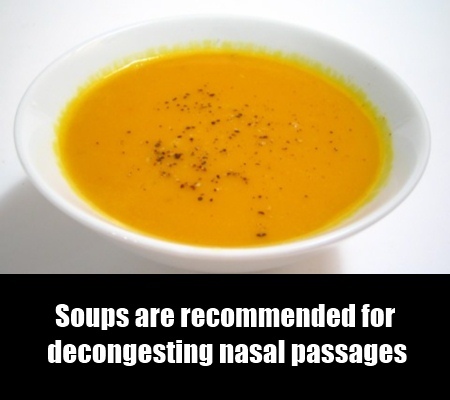 It helps to drain the sinuses by loosening the mucus. Neem and Fenugreek have anti bacterial properties that help tame infections due to sinusitis. Nasal saline irrigation is a proven method of cleansing sinuses with salt water. This is done by rinsing the nasal passage using salt water solution.Saline rinse kits for sinusitis are available over the counter at several drug stores. To prepare your own saline rinse, mix ½ teaspoon of non-iodized salt with a pinch of baking soda and a cup of distilled or boiled and cooled water. 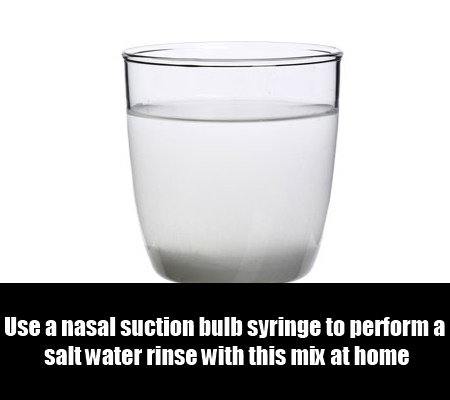 Use a nasal suction bulb syringe to perform a salt water rinse with this mix at home. 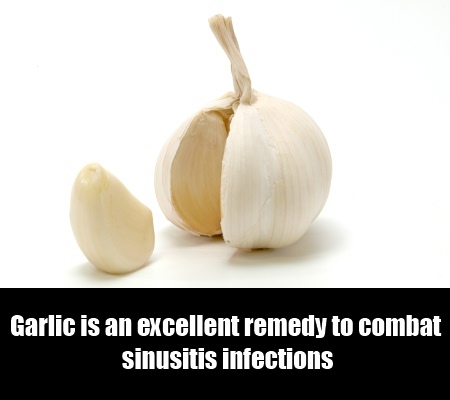 This is an excellent remedy to combat sinusitis infections. Garlic is well known for its anti bacterial and anti fungal properties. Consume tea made by boiling garlic cloves in water or garlic capsules for instant relief. 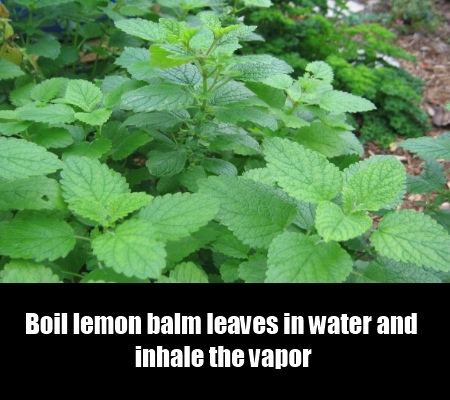 Boil lemon balm leaves in water and inhale the vapor. Lemon Balm is a healing herb that makes all symptoms of sinusitis actually vanish. Gargling twice a day with hot lemon balm leaf tea also gives relief. Practice yoga poses for relief from sinusitis. Yoga poses like Bridge pose (Setu Bandha Sarvangasana) and Plough Pose (Halasana) alleviate headaches and neck pain caused by sinusitis. Hot beverages like coffee and tea, hot water and soups are recommended for decongesting nasal passages when suffering from sinusitis. Consuming hot fluids alleviates pain caused by sinus headaches. Dry air is a sinus irritant and aggravates sinusitis. 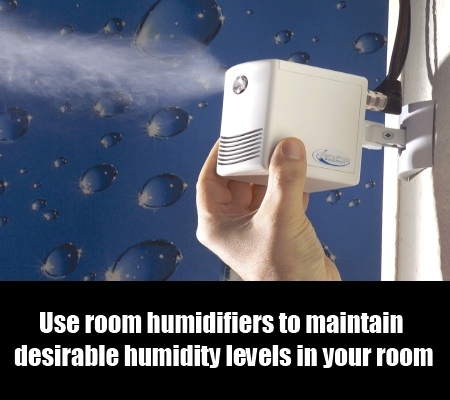 Use room humidifiers to maintain desirable humidity levels in your room. Particulate matter in the air inside your room can make your sinusitis worse. Using a good quality HEPA air purifier can make your home cleaner as it can filter 99 percent of airborne irritants and other particulate matter. Clean indoor air reduces problems caused by sinusitis and its associated infections.